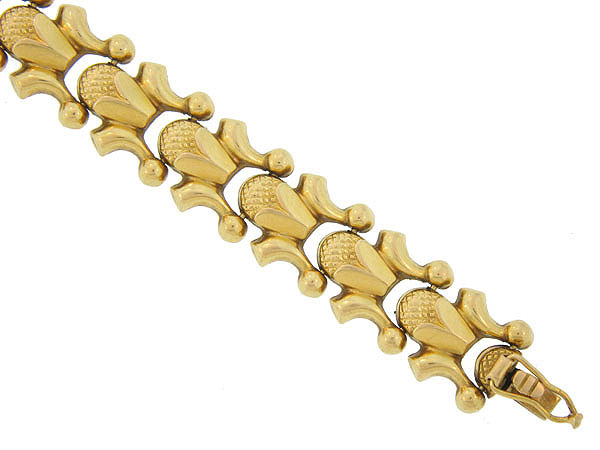 This exquisite estate bracelet is crafted of 18K yellow gold. 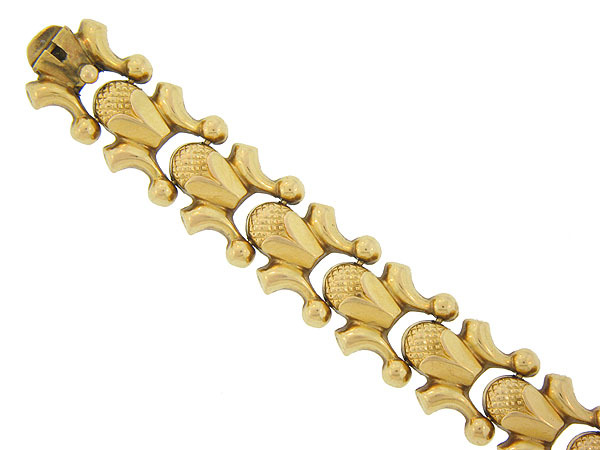 The beatifully engraved links are fashioned in the form of budding flowers, flanked by bold budding figures. 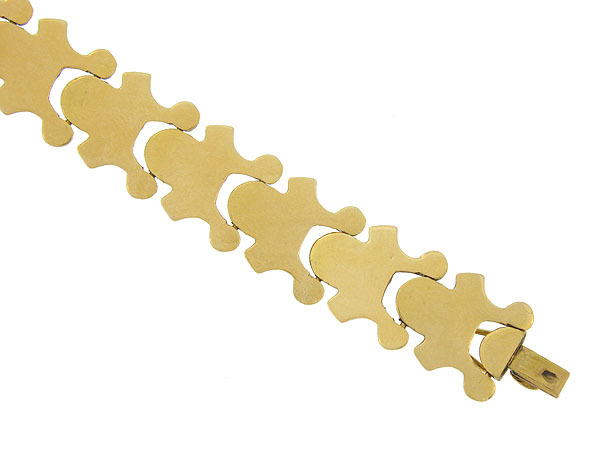 The bracelet is finished with a hidden locking clasp and hinged wire safety. 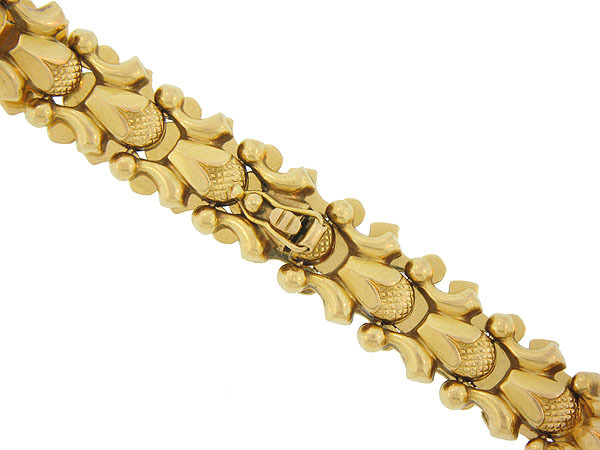 This unique bracelet measures 7 1/2" in length, 1/2" wide. Circa: 1950.